Did you know that there are multiple types of yoga? A lot of people don’t know this and assume that they don’t like yoga just because they went to one class and didn’t like it. It’s unfortunate because there really are some great styles of yoga and they all feel so different and have different benefits. There are too many styles of yoga to go over in one article so today we are just going to focus on five. The five we are focusing on today are Hatha, Vinyasa, Iyengar, Yin, and Restorative. Hatha yoga can be a very confusing term. 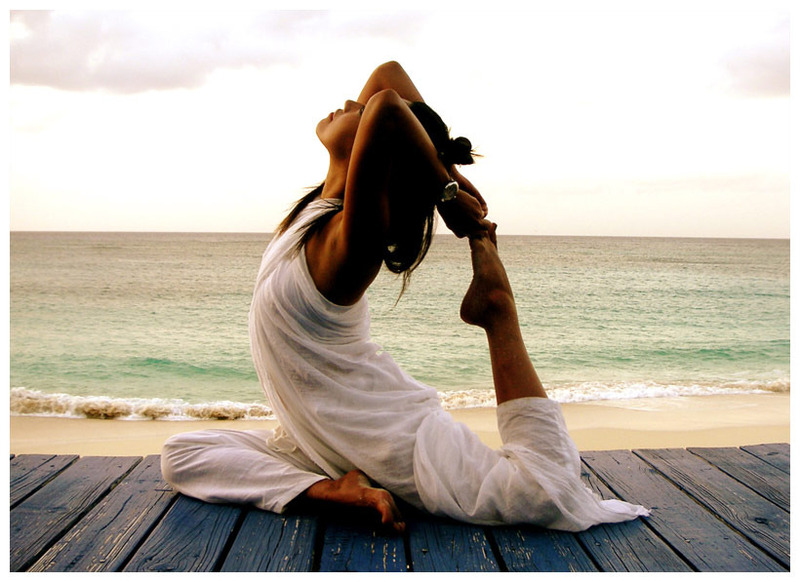 Hatha yoga is actually just a general term used to cover all yoga that is physical and includes breath work. Almost every yoga class that you hear about in the western part of the world is Hatha. A class titled as Hatha is usually going to be a gentle and slower paced class where you will be focusing on the poses themselves. This is confusing because the word itself could refer to any physical yoga, not just a slower class. You can always ask the yoga studio beforehand to make sure you know what you’re getting yourself into. Vinyasa yoga is a very physically demanding class. A vinyasa class is all about syncing up your movement to your breath and keeping a fluid pace throughout the class. This is the type of yoga that you will probably recognize because it almost looks like the person is doing a sort of dance or sequence. Iyengar yoga is a rather “typical” style of yoga. The reason Iyengar yoga is different than other hatha yoga styles is because it is based on maintaining proper alignment. It is not typically a class that has any fast-paced sequencing but is great to deepen your body awareness as well as to gain a greater understanding of each pose. Yin yoga is a very unique style. It is essentially a deep stretching class that still involves muscle engagement. It is focused mainly on the lower half of the body and poses are held usually for at least five minutes but can go up to twenty. Yin yoga is usually suitable for all levels because there are so many variations and props used. Restorative yoga is the most relaxing kind of yoga. A typical restorative class would involve zero muscle engagement in the poses and poses would be held for 5-10 minutes each. The point of restorative yoga is to make your body comfortable enough to allow your “fight or flight” system to shut down and your “rest and digest” system to engage. Like I said before, these are only 5 of the main yoga styles but there are many more. Hopefully, you can see that there really is a large amount of variety in the world of yoga. Whether you like to work up a sweat or keep things slow and steady, there is likely a yoga style for you! Next Post Yoga Exercise in Regard to Emotional Skill and Physical Profit – Is Granting Yoga As Science Vital?